A whopping 86 million adults in the U.S. have shared a credit card account with another person, with varying relationship results, according to a new CreditCards.com survey. Sharing a credit card account by having a joint account or adding another person as an authorized user can strengthen a bond between two people. It can also, however, encourage the primary cardholder to snoop on the other person’s spending habits. The national telephone survey of 1,522 adult cardholders showed about 17 million people, or 20 percent, have used online or printed account statements to check the spending of an authorized user or a joint account holder. Spying on spending was more likely among people who shared accounts with adult children and kids under 18. Meanwhile, 17 percent said sharing a credit card account made them feel closer to the other person – proof that teaming up on finances can be a trust builder. Sharing with a significant other is most common. People are most likely to share credit card accounts with their spouses or partners. Forty-eight percent of cardholders said they have shared with a spouse or partner, compared to 10 percent who shared with adult children, 5 percent who shared with children under 18 and 4 percent who shared with anyone else. It’s a family affair. The people who shared with a spouse or partner were more likely to have shared with a child of any age than someone outside their immediate family. Conversely, those who shared with people outside their immediate family were less likely to have shared with a spouse or partner, and highly unlikely to have shared with a child. It can create tension between parents and children. 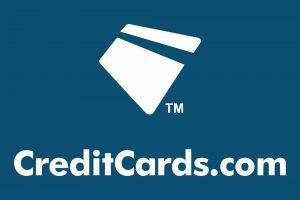 Seven percent said they canceled a shared credit card account because it caused conflict in their relationship, and 12 percent said they argued with the other person because of a shared card. Both responses were more likely among parents who shared with kids. It can give you the upper hand. Ten percent said they felt more in control of a relationship from sharing a credit card account. Snooping and arguments over shared credit are both down since 2008, when we asked the same set of questions in a poll. Arguments over shared credit cards have decreased from 19 percent in 2008 to 12 percent now. Additionally, 12 percent said they used paper statements and 16 percent used online statements to check up on the other person’s spending in this year’s survey, compared to 20 percent (print) and 15 percent (online) in 2008. The scientific survey of 2,000 consumers, including 1,522 cardholders, was conducted via landline and cellphone Oct. 20-23 and Nov. 3-6, 2016. See survey methodology. Sharing a credit card account is an intimate situation, for better or for worse. Two people trust one another to spend responsibly, lest their future borrowing power suffer damage that’s hard to repair. Whether it’s a net positive or a negative depends entirely on the situation, the nature of the relationship and the people involved. It’s no surprise that credit card sharing is most common in couples. After all, maintaining a budget is one of the key pillars of a functioning household. Money, however, is a common cause of relationship stress. A February 2015 survey by SunTrust found that among couples who said they have relationship stress, finances was the top reason. Sharing a credit card can either be a bonding experience or a one-way ticket to couples’ counseling, depending on how the account is used and managed. Baker, a practicing psychologist who specializes in relationship and money behavior issues, noted that many couples include one “spender” and one “saver.” Card sharing can allow the thrifty partner to take charge of the couple’s finances – but that sense of control must be treated carefully. Constantly checking up on a spouse or partner’s spending can make the other person feel uncomfortable. The key to preventing fights triggered by controlling behavior or runaway credit card spending is to communicate with one another upfront about how the account will be used. Baker said that when couples fail to talk to one another about spending, it tends to create resentment – and more debt. If you share a credit card with someone you love and trust and you know has your back … then I can understand why it would bring people closer. Teaching tool or tension trap? In the CreditCards.com poll, relationship tension over card sharing was most common among parents and children. Not all kids have the discipline to spend wisely – particularly if they’re under 18 – but a credit card can be an effective tool to teach children how to manage a budget. As with couples, parents and children can argue over credit if they don’t communicate with one another about spending. Greene said effective credit card sharing is a matter of letting the child know what the limits are based on the family’s resources. Baker advocates allowing teenagers to have their own credit cards that they can pay off with their own money – and perhaps with matching funds provided by the parent. This can instill a sense of independence and privacy. “I think, especially with teenage kids, they need to learn how to handle their own money, but they don’t like somebody watching what they do,” she said. Sharing a credit card account has implications beyond any impact to a personal relationship. Here are some important things to keep in mind before you open a joint account or add another person as an authorized user. Think twice before sharing with a nonfamily member. Harper strongly advises against sharing credit with a nonrelative – particularly a joint account. “I cannot think of a situation outside of a relative, domestic partner or spouse where you would want to have joint credit,” she said. Sharing a credit card account can have its advantages and its pitfalls. Ideally, family relationships are better equipped to handle the potential hazards of shared credit – and they stand to benefit more when debt is used wisely. CreditCards.com commissioned Princeton Survey Research Associates International to obtain telephone interviews with 2,000 adults living in the continental United States. Interviews were conducted by landline and cellphone in English and Spanish by Issues & Answers from Oct. 20-23 and Nov. 3-6, 2016. Statistical results are weighted to correct known demographic discrepancies. The margin of sampling error is plus or minus 2.7 percentage points.